Trade show season is upon us – make sure you are ready to make the most of your experience and time at your show with these five tips to make your booth the best ever! 1. Remember, it is a trade SHOW. Have a script, costumes (company shirts), and props (promotional items). Be sure to rehearse your staff before you go to the trade show. Set up a mock trade show booth at your office or your company’s cafeteria. Have a script of what people are to say and practice how you will greet customers and prospects. Enthusiastically practice handing out materials and giveaways and practice gathering info on those who come by. 2. Have a set of RULES. When you are in the booth you are ON STAGE. Bring smiles, leave company gossip and drama at the door. Be well groomed: clothes must be pressed. Breaks take place outside of the booth: no eating in the booth and no sitting in the booth. No bad language or off-color jokes. Make sure your employees only use positive language and statements for the duration of the show. Be good neighbors to the other exhibitors- depending on the show, some may also be your customers or suppliers. Every 3 hours: Change your shoes, brush your teeth and apply deodorant. 3. Love your attendees’ KIDS. Be sure to have giveaways that are fun for participants to bring home to their kids. This is a SURE WAY to win the hearts of those who come to the trade show who have traveled away from home to attend the show. They will remember you because you helped them be heros at home. A great specialty advertising company can help you choose the perfect items. 4. Market your booth BEFORE ARRIVING. 5. Get a CARNIVAL BARKER. 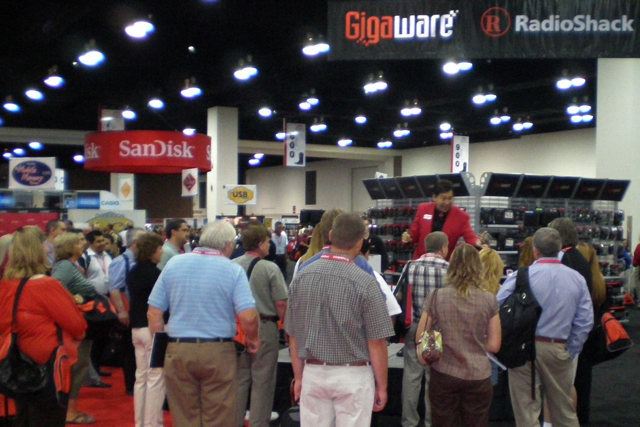 Trade shows have limited floor time for you to attract people to your booth and deliver your compelling sales message. Hire a professional who is skilled in STOPPING TRAFFIC in the aisles who can entertain people while informing them of your product and services and PEAK their interest to learn more about you. It’s a game of numbers: the more people who know what problems you solve for them with your product or service, the more business you will get! Three drastically different career paths that require different types of education and training, attract different personalities and people, and function in extremely different environments! I started to wonder what, if any, connection there was between these three career paths that contributed to the level of job satisfaction that they gave people. Then, I noticed something. All three of these jobs focus on service to others. Those who are enriched by their work have jobs that result in the betterment of their fellow human beings. Clergy give people a dose of faith and hope and make people feel uplifted and loved. Firefighters save lives, keep families together, and make communities feel safe. Physical therapists relieve pain, speed recovery, and give people back abilities lost through surgeries and accidents. Every day, they serve others. Every day they feel satisfaction with their jobs. What about my friends who work in inventory control for television manufacturers? Or those who create software? Or sell safety equipment? Do they feel satisfied by their jobs? Are they working in careers that better the lives of others? The truth is, most jobs result in improving the lives of others. It may not be obvious at first, but it is true! Those who work in electronics inventory control make sure that parts and products are in stock in a timely manner and that the finished products are on the shelf to bring entertainment and laughter to people. Those who create software help businesses manage their budgets and help small business owners pursue their dreams. Those who install safety equipment keep workers safe so that they can continue to provide for loved ones and come home to their families without injury. Air conditioning technicians, auto mechanics, engineers, flight attendants, pharmacists, furniture manufacturers, accountants, office managers… the list goes on! All of these people contribute to the “betterment of their fellow human beings” whether they make their lives safer, more comfortable, less stressful, or more entertaining. In one way or another, they benefit other people and make life more enjoyable. What is your level of job satisfaction? Have you thought about who it is your career serves? You can see your job as just that… a “job”… or you can see it as a something significant – something that benefits the people around you. I invite you to step back and look at the big picture. Clergy, firefighters, and physical therapists aren’t the only ones who contribute to bettering their fellow human beings – you do too. Thank you for making a difference in the lives of others! Haiti. Hundreds of thousands are feared to be dead. I am watching this on television right now. It is a miracle that we can see these things happening around the world, but I don’t like seeing what I am seeing. Graphic. Raw. Images of despair, panic, helplessness, and soon, hopelessness. Children, adults, babies… dead, injured, lost, frightened, shocked. The first thing we must do is PRAY. Not everyone believes in the power of prayer. I do. Whether you do or do not, it costs nothing, and could possibly bring hope and healing. Give it a try. Prayer is good. The next thing to do? HELP. Text “Haiti” to 90999 on your cell phone to donate $10.00 to the Red Cross for Relief in Haiti. 100% of your donation goes directly to the Red Cross- your cell phone carrier keeps nothing. A ten dollar donation will be hardly noticeable on your phone bill, but will help save lives and bring hope to those in need. Then? TEACH. Help your kids or your friend’s kids understand what is happening and how they can make a difference. Help them with ideas and efforts to raise money for help. It is important to teach charity and compassion to the next generation and to support and encourage them to participate in aiding victims of tragedy. Don’t turn your back on the events of the world to avoid the feelings that I am feeling right now. We must FEEL these emotions – for better or for worse. We must not lose our humanity. My heart breaks… but through this pain shines hope. My wife, Angela, and I are big fans of the television show “Diners, Drive-Ins and Dives”. Host Guy Fieri did a show on Kelly O’s Diner and we fell in love with her “Haluski” recipe. I remember having a similar dish when I lived (briefly) in Cicero, Illinois in the heart of a Polish neighborhood. Ethnic foods like this are aromatic, unique and fun to cook. Your kitchen will smell great and its a fun meal to cook with your family. Bring a large pot of water to a boil. Add the cabbage leaves and cook until crisp-tender, about 5 minutes. Drain and julienne. Melt the butter in a LARGE skillet over medium heat. Add the onions, sprinkle on half of the garlic salt, and let the onions sweat for about 10 minutes, stirring often. Stir in the cabbage and cook, stirring all the while, until the onions and cabbage start to caramelize, about 10 minutes. Stir in the crumbled bacon, the noodles, the remaining garlic salt, and the pepper. Let the haluski cook for about 5 more minutes until all nice and brown and slightly crunchy. Plate it, and top it with Romano cheese. Pep talks, performance contests, monthly luncheons… do these things really increase morale and motivate people to perform better? Maybe!! Not all of us are good mind readers. We tend to believe that we know what our team members are thinking and what motivates them, but how can we be sure? You can’t motivate people to do things that they don’t want to do. That doesn’t mean that you cannot MAKE them do these things. It simply means that you cannot MOTIVATE them to do things they don’t want to do. All people are motivated by something! People are motivated to do things for their reasons and not for your reasons. We have to be in tune with those we work with. Why is it that they come to work? Money? Prestige? Social reasons? Security? Experience? Once you know what each person is working for, what their motivations are, it is easy to design programs, incentives and activities to dial into their personal motivations. So, how do I “tune in” to my team and motivate them all this year? 1) Set up an informal meeting that allows enough time for everyone to give their input. 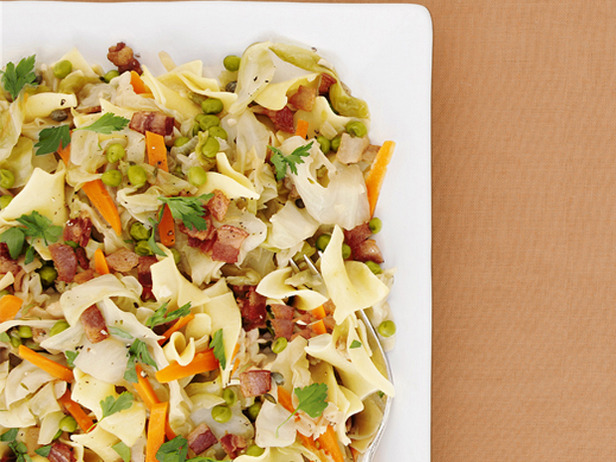 If possible, center it around a potluck lunch or at least a catered box lunch. People really like to show off their best cooking abilities, or their lack thereof, with a potluck function. 2) Give everyone an index card and ask them this question: “What do you really need to do with your paycheck?” Give them examples such as pay off credit card debt, help aging parents, save for their kids’ education, save for retirement, fund a vacation or trip, buy a new car. Sincerely ask people to THINK about what it is that they work for and what their biggest pressing needs are. Ask them to write this in four words or less on a card in an unusual handwriting, fold it up, and drop it in a big box. Shake the box. Have people pull the cards out, read them, then list what is written on them on a board. 3) Reaffirm that we are all here working together to help one another achieve this or her needs and goals. We all have goals. Some are fun. Some are dire. Regardless, if we are to get what we want we must be willing to help others get what they want. Really show your sincere interest in helping each person attain their real life goals. 4) Ask people to come up with ways in which the company/organization can help foster an environment to help people succeed at their jobs. Suggest monthly potlucks, changing the office around, field trips to other companies/organizations to see how things are being done other places, incentive awards, score cards, etc. Let people have input to the process to achieve a level of “ownership”. 5) Reward good results, invest in motivational tools such as posters and books, be sure to make the days FUN for people and be sure to keep everyone engaged and updated of their individual and joint progress. Foster a warm environment that encourages your employees to achieve their personal goals by supporting each other and working together. When your employees are happy and productive, your business will reap the benefits! In case you missed my last newsletter, here is the helpful travel tip I sent out! There’s nothing like the feeling of checking into your hotel room late at night, unpacking and realizing that you you’ve forgotten your charger for your nearly dead cell phone. Good news! Lots and lots of hotel guests check out each day and forget their charging cords in their hotel rooms. As a result, most hotels have HUGE collections of cords to choose from in their “lost and found” and are more than happy to give you one that they’ve collected. As a precaution though, put an extra charging cord in your usual bag now and consider a “back up battery” that lives in your suitcase. Do you have a favorite travel tip? Email it to our office and if I use it you’ll receive a gift certificate for lunch for two! Planning an office Christmas party can be difficult- especially for small businesses that have very limited budgets. My years of planning and throwing holiday parties for my employees have taught me a few tricks I would like to share to help you throw a GREAT party. Use my tips to throw a fantastic party that will show your employees how much you appreciate them while staying within your budget! A great source to tap for help when organizing your party is your vendors. Many of your vendors may be looking for a way to thank you for your business over the past year, and contributing to your employee Christmas party is a wonderful way to thank not just you, but also all of your employees who help make your company great! Ask if your vendors can sponsor part of your party: this can be as simple as providing part or all of the food, providing entertainment for the party, or providing the venue and decorations. Another great way to get vendors to help make your Christmas party a hit is to see if they can provide anything for door prizes or employee gift bags. Most of your vendors are likely to have promotional products that they would love to get into the hands of the people who seek them out to do business! This is a win/win situation in which you get more give-a-ways for your employees, and your vendors get their promotional materials to the right audience. Several may be willing to also donate a “big ticket” item for a door prize, and in return, just asked to be recognized for their donation! If you do have vendors who are willing to contribute to your holiday party, remember to ask if they have representatives who could attend your holiday party. This shows your appreciation for their generosity and gives them a chance to mingle with the people they do business with. Local restaurants are another great source when looking for help with your office Christmas party. Try approaching restaurants that are near your office where your employees regularly dine and asking if they might be able to help out by catering your party or by offering you a discount if you have your party at their establishment. Local restaurants may also be willing to donate gift certificates to use as door prizes for your employees as well. Remember, your company’s employees are their restaurant’s customers- and they want them to keep coming back! The main thing to keep in mind when looking for help sponsoring your party, is to look for companies that will benefit themselves by helping you out, or that you regularly bring business to. Does your company have connections to any local hotels? Do you have a service that you could work out an exchange with an entertainment company or with a decorator? Look for the connections your business has, and how you can help each other out! Small business can also look to each other for help when planning a Christmas party on a budget. If your office is part of a building full of office suites, consider joining together with your office’s neighbors and having a group party. This is a great way to get to know the other people in your building, and splitting fixed costs lets you save money on your Christmas party! If you have any other hints or helpful ideas, please post them as a comment below on my blog- I would love to hear what great ideas my friends have! In next month’s newsletter and blog, I will share with you my wonderful way to reward employees throughout the year, increase your company’s goodwill in your community, and prepare for next year’s Christmas party, plus one more benefit I will reveal when I post. Stay tuned! Okay, I’ve been to nearly 400 events this past year. I didn’t eat at all of them, but I’ve had my share of food “tastings” from cruise ships to 5 star restaurants to private home parties with some of the TOP chefs in the country. Last Friday night this simple warmed dip took me and everyone at a small office party by storm! It is one of the most delicious and addicting foods I’ve had in a long, long time. This tastes like hot chicken wings, but without the mess. It is irresistible and perfect for any gathering. Serve it with club crackers or tortilla chips (or both). I don’t even eat hot spicy foods and I just LOVED this! It was just enough, but not too much “heat” for me. Try it- you will love it! In a medium bowl, stir together the cream cheese and hot pepper sauce until well blended. Mix in the Ranch dressing, chicken, and Cheddar cheese. Spread into a 9×13 inch baking dish. Bake for 30 minutes in the preheated oven. If oil collects on the top, dab it off using a paper towel. Hope you enjoy- Merry Christmas! The holidays are always a hectic time- people travel across the country to be with their families and loved ones… and those families and loved ones open up their homes and guest rooms! When we have guests at our house, they often forget to bring the amenities that hotels usually provide. Here is a little trick I use to make sure my house guests have everything they need! 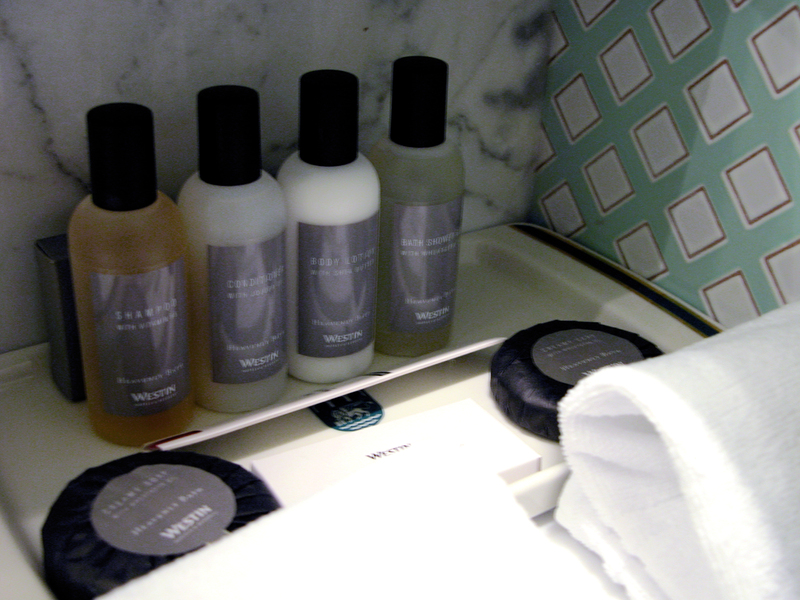 When I travel, I stay in hotels, but bring my own shampoo, conditioner, soap, etc. However, I still take the tiny shampoo and conditioner bottles from the hotel bathrooms home with me. I put all of the little bottles in a glass bowl in my guest bathroom so that when people stay with us, they still have all of their toiletry needs taken care of! Not only does this provide my guests with what they need to shower, it also gives them a glimpse into all of the places my travels take me! Kauai was an awesome and picturesque place for my son Eric’s wedding this week. He went to Hawaii in April for a two week missions trip for Y-WAM (Youth With a Mission) and wound up staying. He met Anya, a beautiful girl from Russia, who came to Kauai for the same reason. Everyone said it was love at first site and just over four months later, they are now married! Though torrential rains hit the island most of the week (17″ in a 24 hour period) the sun broke out on Ke’e Beach in time for a stunning ceremony. Eric and Anya, our new daughter-in-law, are now in Maui for their honeymoon. Anya will be applying for her green card (which may take up to a year to obtain). Eric is doing very well working for the Five Star resort, The St. Regis in Princeville on Kauai. Please join my wife Angela and I in wishing Eric and Anya a long and happy life together!